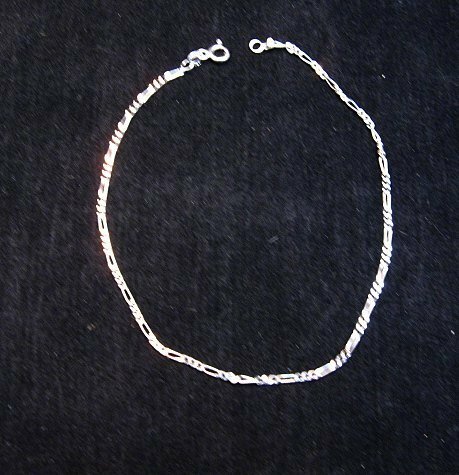 Lightweight Sterling Silver Figaro anklet chain. 9 inches long. Could be worn as a bracelet too. 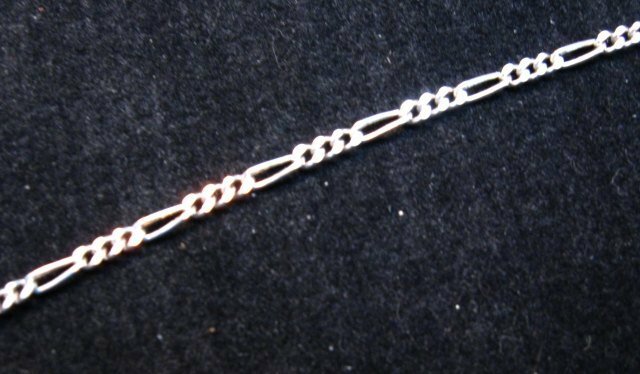 Figaro is a popular silver link chain design that incorporates a pattern of 2 or 3 small circular links with 1 elongated oval link.